In two years time, Real Madrid will beg Ozil to return – who to play against WBA? Apparently, Florentino Perez recently said our record signing was not able to deal with ‘the pressure’ at Real Madrid and that is why he was allowed to leave. Whatever Perez exactly said about about Mesut Ozil’s departure does not really matter to us, but for his own sake, the self-celebrating president would do wisely to make things up with our nr.11 before he has properly burned his bridges. I truly hope Ozil will be a Gunner till the end of his career, just like our saintly Dennis did once he arrived from Inter. It might become the best yardstick of the club’s growth in stature in Europe if we could keep hold of him, whilst building a truly successful team around him. I have little doubt that Arsene will move Ozil to another level in the next two years and turn him into an even better footballer. He will allow him to play in the hole like a proper nr.10, and build a team around him. Yet, Wenger will simultaneously develop Ramsey, Jack, and Ox, and one or two others, into exceptional footballers, which means that the pressure to be the main man will be somewhat spread across a number of players. This is already the case right now, as the likes of Flamini, Arteta, BFG, Cazorla, and to some extent, Theo, Giroud, Rosicky and Podolski co-share the team-leading responsibilities with him. Ozil looks at home like a frog in a pond, and yet it is clear he is only playing at 70% of his capability, as the telepathic relationships between him and his teammates simply need time to fully develop. The really good thing right now is that we keep winning whilst Ozil, and to a lesser extent Flamini, get time to properly grow into our first team. It is fair to say that the fixtures list has been very kind to Arsenal in that respect, but we deserve it after a number of tough starts in recent seasons. Of course, we only have to look at Ozil’s current statistics to know that his settling into the team is going hand in hand with producing the goods for Arsenal already: two assists per game is simply magic, and long may it continue. I agree with Wenger, though; the best is yet to come, and this is all to do with Ozil being able to give shape and purpose to the team on a constant basis. Once that happens, and the likes of Podolski, Cazorla and Ox return to the squad as well, the real party can get started. I predict that Madrid will be begging on their knees for Ozil to return in two years, and that Perez will come to see the German Wizard’s departure as the biggest mistake during his Presidential era. He might even do ‘a Robben’ or ‘a Sneijder’ and win the CL with Arsenal. Mesut is ours now and here to stay, and he will have the last laugh! I am really looking forward to the WBA game. I love to see our youngsters combined with our more experienced players and play some fine football in the process; and usually the League Cup does not disappoint in this respect. It will be really hard to predict an accurate line-up for Wednesday, and I am inviting fellow BK readers to give us their first eleven. Who would you like to start against WBA and in what formation (and why)? Who should captain the team? This entry was posted in Uncategorized and tagged Arsene Wenger, leadership, Line-Up, Ozil, Total Football. Bookmark the permalink. 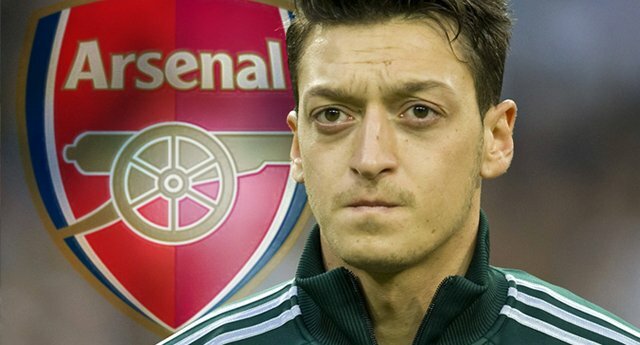 126 Responses to In two years time, Real Madrid will beg Ozil to return – who to play against WBA? agreed re- OoooOOOZil, however, i don’t think he will be wanting or willing to go back to Madrid , maybe Munich yes ; ) but that been said, let the clowns do whatever they want at RM, we couldn’t care less – i got a gut feeling that we might get RM in the knockouts of the CL. If we match Özil’s ambition there is no reason he should need to leave. My biggest worry about him leaving would not be Spain, but PSG waiving a fat cheque at him in the future. From your theoretical squad, I would like to see Viviano get a game, Frimpong get a run out also. Finally, having predicted NB to get in the top 5 of Arsenal goal scorers this year, with 15+ goals, I need him to be playing also. Regarding the line-up, I had the same idea as JB. I would like to see Olsson get an opportunity to play and not just make the bench. I am a bit puzzled about Frimps. He seems to show up in training and certainly social media. But, then drops out with some injury or the other. His future with the Gunners does not appear to be looking too hot right now – a pity if I am right. I felt that Frimps could be a great understudy to Flamini and pick up from him in a year or two. if no Frimmy, then we slot in Flam’s and Arteta and ahead plays either one of Eisfield or Olsson – sorted ? Eisfield should be nailed on. Hope to see him get 1st team time in the New Year. Like the line up but really want Flamini to be rested. Hope you are right though. Good evening Brokeback BK beef whistle blowers!! Great post Totes and Dylan post march!! I wondered with Wenger using Arteta in the advanced role against the orcs that this was a sign of things to come? With Ozil coming off round the 80 minute mark who is the likely successor? I guessed le prof would use jack the lad but replace Ozil but no he chose Zorro. With Zelalem out of it I’m going to give the nod to Eisfield but it wouldn’t surprise me if he took up next to the Flame and Arteta went in the hole. But it would no doubt give us more rhythm and protection to have Zorro at the back. And if frimmers starts I reckon Zorro will stay back. I haven’t seen enough of Olson but if he played would be good to have Eisfield on the left. Chubba to come on after 70 to relieve the Corny Danish. Gathering from reports on the youth, Eisfeld is NOT highly rated by Wenger or the rest of the coaching staff. He scores goals, but fails to dictate play from midfield, in most matches. This isn’t what I am saying, it is what someone else thinks…With all his talent, he should be doing more to influence matches. I saw him play a few times last season in the NextGen, and I wasn’t that impressed with his overall contribution, yet he played VERY WELL against Reading in the Capital One Cup. I’m not sure how big he is, but maybe he should be converted in to a striker, someone who can come deep, but also score goals, like Suarez. He will probably go on loan this year, and if he doesn’t impress, I think that may be the last we see of him. Such is the reality with all the competition for places, especially at his position at Arsenal! for now, Ramsey and JW need it more than Flam’s i reckon. besides, according to our doctors and health pros, Flam’s is the fittest bloke in the whole squad – why should we be resting him when he in peak condition ? 😉 once Arteta is fully back, he will be on the bench more often than not i guess. also, he was MOTM in the last match, we need to play him to enable him to keep going and do even better instead of resting him ! Fine comment Fozzer and all agreed. Would be really nice to see Frimmers on the pitch again. Oh yeah and bellerin to come on for Jenks …. Love to see that boy run! Good points about Eisfeld and I tend to agree… would be good to see him shine tomorrow, Milo. Bench – youngsters as per JB’s list, and whoever is up for it from the first team. That’s already an aggressive rotation, with a risk that the attack will lack fluidity, but with a strong defensive platform that should provide stability and be a decent launching platform for the inexperienced attacking players… Lots of responsibility (too much?) on Eisfeld to make things click, or is Arteta going to round things up? But I’d really rest Rambo, Jack and Özil, unless Ö could use some playtime (if he needs to get sharp and is not tired, he could do 60 min?). Anyway looking forward to seeing some of the 2nd guard. Left for ♍e I think we should rest a whole bunch of our 1st team players… Viviano should start in GK, den sagna in RB, verminator and koscielny in CB, monreal in LB, arteta and frimpong in our double pivot DM with arteta playing in rambo’s position..then since we’re thin on the wings we shuld start gnarby, eisfield and wilshere (since we need wilshere up and running at his best again he’ll need to start more games) then I’ll prefer we start chuba akpom ahead of bendtner and maybe bring the big dane in the second half.. and for d captain it’ll definitely go to the verminator!! re- Napoli then call me crazy but i would much rather play Arteta Ahead of Flam’s, provided he is fully match fit though ! Interesting one Alcide, I really hope BFG and Flamini get a rest.. they need it, and Koz and Arteta/Frimmers should be good replacements. Forgot to say – Flam to be rested this weekend in anticipation for Napoli indeed. i much rather play Flam vs Swansea and then rest him against Napoli, as i don’t think Arteta would be fully fit to play against Swansea and is more likely to be fresh and hungry for Napoli ? it’s becoming a good selection headache for everyone including AW, isn’t it 😉 just goes to show, what squad depth with decent players can do ! Jambo – I thought Napoli were really strong in central midfield against us (in August) and I would prefer a good tackler in ours to cope with it. Arteta-Frimmers or Arteta with Olson or Hayden would be fine. Lets give Flam 29 year old joints and bones a well deserved rest. Evening BKers! Good questions TA. On Ozil, we must stand a good chance of him staying, provided we invest and develop around him and start winning some silver. He has been to the ‘glam’ club in RM, and has come to us, a club with stability, history, potential and young side to grow with, and a club that really looks after its players – what is there to leave for when he could become a true legend with Arsenal? A couple of names stand out for me as ones not mentioned for Wednesday – Sagna and Ramsey; and I also don’t see as much change in our team as people seem to expect. I would take a punt that we rest Mert, our key CB this season, with Verm in the left CB we could play Sagna in the right – yes he’s done some miles, but there should be less basic running to do at CB. I agree with others about Jenks and Nacho. Clearly Jack will be rested, but Ramsey is young fit and firing on all cylinders; I could see him starting with Arteta, whether Arteta plays in the pivot or further up. 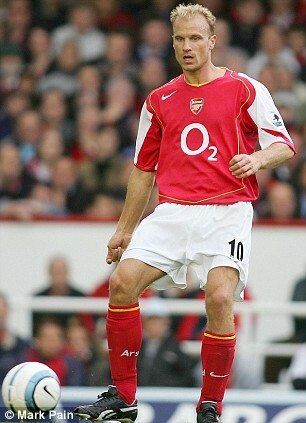 Flam has been great for us, but vulnerable to injury of late, so I would rest him too – on the bench though. Gnabry has to get the nod over Ryo – playing yesterday has to indicate he is higher up in Wenger’s thinking, though I would expect to see Ryo play at some point. Akpom has been our cover striker with all the injuries of late, so I would like to see him start, but if Bend has really agreed to put in a ‘shop-window shift’ for us, and he is vaguely fit, I would guess he starts and is asked to prove it. Like others I would love to see Eisfeld given a run; if he can’t get a game in a cup like this then it really suggests Wenger does not see much of a future for him. On paper, that should be strong enough; but its hardly a settled group and there will be plenty of nerves. A strong bench (for once) should be maintained as I really don’t want us to break a winning run. Any news on Walcott, or indication of how long Ros is going to be out for?? We could really do with these guys back soon. That’s a fair point JB, if Arteta can be 100% fit for Napoli, but can he play 3 games in a week already? Or if he plays only one of the next will he already be sharp? While Flam will be 100% for sure? Not making definitive statements here, just thinking aloud. I guess Mikel needs to play the next game and we will maybe know more… I must say I remember this statistics from last year where we won 80% of our games with MA, and only 40% without him (numbers probably off but the difference was striking). He was our most important player, and having him back is a blessing. however, i just want an experienced midfield , considering we will have a relatively RAW forward line….that’s all….and also the likely hood of Arteta furthest forward (no.10 role) ? i just feel that Arteta still remains a key player for me and i see him playing an important role in this team, like you said, tomorrow we find out more. I also agree with TA that Napoli may be a team against which Flamini/Ramsey could be a good combo, I’ve been impressed by Napolis treatment of BD. I agree JB, as long as Mikel shows he’s 100% or close against WBA. Which may very we’ll be the case. Ozil has to be catalyst to our club becoming a reckoning force in football again. Players will see current stars with young stars showing massive potential like Ramsey, Wilshere, Gibbs, etc. Coupled with Wenger as manager, I’m sure there will be no more Santos, Park Chu-Young signings and more quality players bought if and when needed. Sagna, Koscielny, Gibbs, Flamini, Giroud and Ramsey. It’s a very big squad change but surely these players must be beginning to feel it ? that’s what my preference is as well. very unfortunate that injury to young Zelalem as he is also in the CL squad , his inclusion has kept Gnabry out. I totally agree.. Wen we have a full squad Rambo/ arteta is my preferred double dm combination with flamini coming in2 d game as a sub to help hold on to leads, or to replace arteta or rambo..
Mr 212 – very fine line up and almost agreed… but BFG needs a rest badly and Koz and TV should show how good they can be for us. You could close with that line up though..
Full squad and a big team to play: Flamini first on the team sheet for me in midfield. Any team playing five in midfield….Flamini to start. So dont agreed with both Jambo, alcide and adgdgreat: Flamini is our best DM and should be first choice right now in most games. Against Napoli I would like to see Flam/Arteta and Ozil up-front, with Ramsey coming on in 2nd half. However, Flam/Ram would also be fine to me. Eisfeld still has got time to prove his worth and I don’t agree that Wenger does rate him. Too early to conclude on him. Aaaargh…. Not Theo… When are TR7 and Santi back? I do agree that Mertesacker needs a rest, but in terms of what he offers in organisation, the partnership of Koscielny and Vermaelen can’t match. Especially with Young Jenks at right back, Per needs to be there to remind him of his positioning. Bloody nora, now Walcott’s sidelined for 2 weeks the only alternative we have is our young bucks Gnabry and Miyaichi. Where odd you see the bad news JB? AB – interesting you dont see as many changes as others, and you could actually be right. It would be typical Wenger in recent years. With Theo out for two weeks, Gnabry might be rested now and Ryo should definitely play. Well against napoli I will disagree with you on the flam/arteta combination… Rambo is our engine room right now and when you watch napoli in their last games you’ll notice dat dey are strongest at the beginning of d match and press really hard..the only way to escape dis is to be able to match dem attack for attack and not trying to undermine arteta’s talent here but currently rambo is far better dan him (coz I’m guessing you’re not even thinking of flam playing rambo’s position) and we’ll need rambo to kickstart those attacks for us coz looking at dortmund..deir major undoing was the injury gundogan suffered, therefore making him not to play.. And napoli really hurt dem with dat hole in the team.. Owh and walcott is injured and unavailable so we’ll need every other experienced hand against napoli…. All good points. I have a feeling that Arteta and Flamini would make us watertight at the back, although the partnership is untested…. and we are at home so we could take bit more risk and play the engine room next to the Flame… Could definitely live with that. Good point Simba, and I reckon now that Theo is out, Eis Eis Baby will definitely play (as Gnabry might now be rested for the Swansea game). Btw agbdgreat comment at 23.41 was aimed at you, Simba. Travelling tomorrow but will aim to respond to comments at points during the day. Don’t think Real Mad will come back for Ozil, They’ll spend another trillion Euros on some superstar, overhyped bunch of ¨15 minute¨players who will warm the bench or not produce the expected results once again. That gives us Fabianski, Miguel, Frimpong, Ramsey, Eisfeld and Akpom on the bench. This is a nice mix of youth and experience and in particular a relatively strong midfield and back 4. It will also be Bendtner’s opportunity to show he wants game time and deserves it. It is a shame that the OX, Cazorla, Sanogo, Rosicky, Podolski and Diaby aren’t available as 5 of the 6 are already top class proven EPL players, but i think we have enough to put the game to bed If everyone works like they can. Miguel will most certainly be on the bench no doubt about that but it will be Leicester city’s bench @ Wee-Donald. I agree that RM won’t come back for Ozil – they will go for whoever the star player is at the World Cup in Brazil and the best young Spanish players not already with Barcelona. Who to play against WBA? To me it’s about who needs resting the most – straight away I would rule out Wilshere, Giroud and Ramsey, and keep them for Napoli. It would be worth giving the centre-backs a rest as well. It’s quite a young team which is why I think the solid midfield combo of Arteta and Flamini will be necessary (good shout by TA there). Surprising to see so many people put Bendtner into their teams despite his lack of match fitness. In my view Akpom is an exciting talent and he deserves a chance to start ahead of Nik. Maybe put Nik on the subs with Ozil and Frimpong. Wow, there’s not many other players to choose from! Yes Madrid will sorry for letting Ozil go.. but who care.. hehe..
Ozil will stay in Emirates for long.. hehe..
TA.. Bond.. Don’t forget that Kos and Verm just don’t macth each other.. so I don’t think pairing them is a good idea.. If Mert really need some rest.. why not Sagna..?? It can be a great test for both of them (sagna n Verm).. Yes.. We need Flamini for Napoli.. his 5 years in Milan will be an advantage.. but again pairing him with Arteta is not a great idea also..
First.. I think they look like a subtitution players.. hehe.. Arteta subs Ozil not because Wenger wanna play him as an AM.. It more because Arteta need time to play.. and We need to defence more.. Remember he put 5 defenders alltogether.. hehehe..
And Ramsey is a CL star.. don’t ever left him behind.. hehe.. He already give us 4 goals.. cmiiw.. He must play.. if he must rest then rest him a week long.. again WBA and Swansea..
A bad news about Walcott.. hope Gnabry and Ryo will cover him nicely..
Subs: Fabi.. Kos.. Ramsey.. Akpom.. Bellerin.. Olsonn.. Ozil.. So , according to henry both koc and tv5 are a bad combo and hence the pairing should be avoided ? I look at it from a different view – for me they need to play more together to create a better understanding. …and tomorrow’s game happens to be perfect for that ! In an ideal world the above mentioned combo is my preference at the risk of sounding harsh on BFG…provided tv5 is back to his best ! Alcide , I read it on the mirror’s sports section. Early to bed and miss all the fun… Anyway, I believe the following, to add something a bit new, maybe..
2. Injuries aside, Flamini and Arteta offer different things and will likely be played as such. I consider it however, a bit of a 3-way rotation as Ozil will need rest too, between Ozil, Flamini and Arteta. With Arteta resting one or the other of Ozil and Flamini fairly regularly and/or splitting duties depending on opponent when Ozil is well. Equally, when injury strikes, which JBs long arrgh.. indicates it has, then Ozil can move, or others, and we can play both Arteta and Flamini, which would also happen, to add a fourth, when Ramsey needs a break. Thus, in general for league and CL at least, 3 of the following 4 always playing for me (AR, Flamini, Ozil, Arteta) depending on rest, opponent and such… Could be 2 or less for lesser teams. TA – a good post that has got a bit lost with the imminent COC game coming up. Sticking with your post for a moment. I think both for Mesult and his dad, bridges are aleady ashes as far as RM are concerned. Too much dirt dished to save Perez’s face has killed any chance of a return, as long as Perez is still President? As to where else he might be tempted, should we fail to fulfill his ambitions, and that may also hinge on AW signing an extension, which in turn brings us back to silverware, and the WBA game. So who else will give him a happy dressing room – Not PSG? – a chance of winning trophies – possibly not Bayern, as they may be a team in transition in two years time? – Dortmund will be on the rise by then, and if Klopp and he click, may be a stronger possibility – Doubtful whether Man U will have the same allure in their post-VJ years? -Barcelona, who knows how they restructure their midfield? – Italian clubs have to provide stability to be an attraction, but one might be a dominant force by then? – Monaco, could eventually prove a bigger threat if they develop steadily and get a more focussed team, rather than a collection of expensive players, and one suspects that the lifestyle down in warmer climes could be a bonus? In truth, if we progress with our ambitions, adding players that suit Ozil’s game, and can match his intelligent play, then I cannot see him moving away. He is ours to lose, rather than any other club just wanting him. Much of the ‘guessing the line up’ game is centred on who needs resting? The centre backs? : BFG has only recently missed a game(stomach bug) and does not strike me as a player near burn out? It is important, that if were are playing both 2nd string full backs, then you need his organisation. He plays for me. TV5 is in need of a full game, so that is the back four done with? DM’s, as a double pivot seems to be the option? Arteta needs a (near) full game, and if we are to try out youngsters, now is a good time to do it? Hayden would be my choice alongside an experience partner. Rather here, than CB, because any mistake are less likely to be costly. He is very capable of doing a box to box job. Perhaps the downside to his chance of starting is that he has been in the squad a lot, and not played much football, so an option from the bench. However, balanced against Wilshere out, Rosicky possibly still out, It means the alternative would be Olsson, or ‘the close to burn out boy’, Ramsey. I’ll take Hayden. Frimpong may make the bench, but I don’t think he has played since picking up another slight injury? Who replaces Ozil? Either in the starting line up or from the bench? Miilo mentions Eisfeld being out of favour. Now that may be others are reading more into his absence from the recent squad extras than may be the case?. He was included in the CL squad ahead of Gnabry after all? My own view on Eisfeld is that he is very intelligent player and will always outperform anything he does elsewhere when plays with equally(/) top class players. Perhaps AW is trying to teach him their is more than just turning up for a first team slot, that has to be earned. He was also very shy when he first came, and although he has integrated well in the academy elite, the hum drum reserve games may not do it for him .. I am only speculating here. What I do have little doubt is that if he and Ozil are on the pitch together they will fire. So may be a double sub late on might answer a lot of questions? So, if in doubt, go for an outsider, Bellerin and Ryo? Switching to a 4-4-2 formation( 4-4-1-1, or even a 4-5-1?) You could then have Akpom and Gnabry pairing up at the centre of attack, and pace, and extreme pace on either wing? Tasty! I think gnarby should play only one half/ even less in dis game bcoz we’re really short on wingers right now and we have about 4 games till theo is back and good news is that chambo will be coming back the same week too so we could maybe rest gnarby for this game if possible coz itz clear that wenger rates him higher than ryo or any other youngster out there; and we all know that he’s young and the westbrom game is practically useless since I’ll prefer we concentrate on the league and fa cup (then the champions league coz I don’t want us leaving pot1) and we cant really just rush gnarby into 4 back to back starts coz it’s all new to him, he’s young and he might be overplayed in d process picking up an injury. Except AW has plans to share the wing burden on both ryo and gnarby giving them 2 starts apiece then I think gnarby should be rested for d swans and napoli.. Bond.. Last season they play together more than 10 times (cmiiw).. untill Wenger decided not to play them together.. And we already knew the result.. that they just don’t match each other.. maybe to similar kind of playing.. So why need to try something proven unproven.. hehehe.. The same as Arteta and Flamini.. I get a feeling that they just can’t match together.. They are substitution.. hehehe.. At least all others DM are injure.. Ramsey, Wilshere, Diaby, Frimpong.. We have so much combination.. hehehe..
last season is history – it wasn’t one of TV5’s finest and if memory serves, then he was having to play through the pain barrier and getting regular injections ? be that as it may, you see we have 3 very good CB’s at our disposal and let us not kid ourselves, TV5 is no Djourou (no disrespect to DJ) or squillaci, by that i mean he is good enough to be the first defender for most top notch clubs if not all – the guy is our skipper and a good player none the less. imagine if one of Koc or BFG break down or have been suspended ? do you still try to avoid the combo ? i have taken your point onboard about last season, he did make silly mistakes which were zoomed in rather more so because he’s the captain ? all of our CB’s and every CB in the world has lapses in concentration and that moment of insanity, sure both Koc and TV5 seem to be a dynamic partnership but guess what ? you need that at the top level in some games and also take into account the fact that we have over 55 games to play this season. necessity is the mother of all needs, so i wouldn’t rule out the Flam’s and Arteta combo either 😉 yep, Arteta best plays as a CM or AM, just like Jack has sacrificed himself for the good of the team, same is the case with Mikel, so you never know how that partnership might turn out , if tried – of course. WBA also have a few injury concerns, we need to go there with a champions mentality. will find out more about injured casualties soon as AW is meant to be talking to the media ahead of the capital one clash ! we have been extremely unlucky with injuries thusfar, regardless of how many more players AW bought…. Bond.. yeah.. it was history.. hehehe.. but history seem to repeat.. hahaha.. I hope the nice history of our glory 10 years ago.. repeat in this or next season.. hehehe..
amen to that @ henrycham amen to that ! if you go back 2 years when Per first arrived he and TV were a good partnership until his season ending injury in Feb 2012.. That on a new arrival. good points regarding Ozil in future, he is ours to lose. IMO, Dortmund, given the financial and business structures imposed on German clubs will have to grow a lot to afford what Ozil might become. The 50% minimum ownership of German clubs being local or club means that investment opportunities from outside are limited since any investor is guaranteed no say (formally) in what gets done. Thus, BM have grown large naturally and over a long time. Dortmund will be hard pressed to repeat that any time soon under that structre. I.e. they wont likely become a City or Chelsea, no german club likely will, because those rich owners wont have a say. Hoffenheim was it perhaps being the exception and still not up to it all yet..
agreed, re- rotation and keeping players hungry when it comes to Koc-BFG-TV5 and even Sagna, although , let us keep Sagna at RB for as long as possible ! i quite like Gerry’s 4-4-1-1 actually even though it’s very adventurous and very AFC like (where are you AFC ? Good advice Geoff, as it happened again. I did a ‘ControlC’ which did not work the first time, but did on the above. It has cut out again so I will try later. so what do the training pics tell us ? Viviano ahead of Fabs ? one of Ramsey and OooZil to start ? JW on the bench ? Eisfield to get his chance alongside Olsson ? Koc missing which means Per and TV5 partnership ? JB, since it is always “you” who catches “us” right after “we” post one after the other, probability would imply a “third” person acting all as one to ensure “your” success … even to the point of “arguing with yourself” ..
JB – I had to do a reboot, so I only got a view of the first picture.. Noted Eisfeld in the background. Any sign of Bellerin? Ooops, done it again Following jgc that is. Although I think wordpress don’t like my ‘no cookie’ stance? My dream team team then JB? i’m quietly confident of doing well on wedneday ! Earlier this morning I came across a site I have not seen before, and their last 3 blogs are all worth a read. The latest is a well written piece on Hector Bellerin. TA – You might like to explore the ratings of the Stoke game, as their Football Pitch format’ looks a step up on our present one, if you don’t mind me saying. Because my connection keep dropping out, slip out of the posting box as well. My latest post is in moderation? This one might end up there given it has dropped out again ..GRRR! sorry about that Gerry, not the best couple of days for you i guess, hopefully TA can unleash the one in moderation, at least. i’m actually shocked at seeing Park train with the first team again. Could be last chance saloon time or just making up the numbers? so in a way, i’m kinda glad to see him in training at least , why the hell not ? he’s still our player. you could be right though re-numbers game but with one of NB or Akpom starting and the other on the bench, i doubt the numbers would need any swelling up or the bench in that matter but you never know. he played well for his country and scored a goal not so long ago, if i’m not mistaken ? JB – If it is Red tops (the likely players tomorrow) v the Blue tops (the bench?) then Flam might play? might not be a bad thing at all ! i’m still hoping AW to give us some positive injury news in his press conference though ! Apparently his ability to receive and control a ball in training was so bad the others just laughed. Well training is one thing, a bit like exams, some find it easy others do better in course work … I am guessing from the brief appearance he made in the COC last season, where he did not do at all bad, added to his previous International career suggests to me that he is one of the latter types? I am wondering how you know I have had a bad couple of days JB? You are right though. The news I got back from the vets was not what I was expecting. Went to see what was causing her limp, some fracture possibly … turns out to be bone cancer. Prognosis, 6 months at best. That with heavy doses of Tramadol as pain relief. Btw, In case there were any confusion, I lost my brother 18 years ago. that make sense as there is no other explanation for not having Park , anywhere near the first team for so long – hopefully he has improved and can prove some people wrong , for what’s its worth ? better late than never right ! i’m so sorry to hear that, so we have had 2 dogs struggling with their health this month..september is not a kind month for pets it appears…. i can imagine it being an utter nightmare for you, hopefully Arsenal can cheer you up plenty tomorrow ! 18 years is a long time, but a loss of a beloved or family member always stays fresh in the mind, especially if it was caused by a terminal illness. Extract from book about Bergkamp here! Fab is out – injured, so Viv plays. Frimpong – Not trainng , so out. Yennaris – Injured, I am happy to report(in the nicest possible way), as I though he had dropped off the radar. From the pictures, NB23 does look very gaunt, and if that is the result of losing weight then he must be serious. Well done, Nicky B. I think most reasonable fans will at least give him a chance. Flamini has pushed open the door to redemption wide open, so perhaps Park can sneak through at the same time? note how AW has stressed that he will be out of the England internationals “for sure” – could it be that this was all planned in advance ? to give him a bit of a breather as well so he’s good to go from 19th October when we play Norwich on wards ? it certainly seems like a great opportunity for Gnabry, it’s what , 4 matches from now till the international break ? 4 matches we are capable of winning without Theo , considering we may have Santi back for Napoli ? Arsène Wenger revealed the following fitness updates ahead of the Capital One Cup tie at West Bromwich Albion. Rosicky is the first back [of the injured players], but not in time for this week. Next week we will start to speak about that. He could come back in the squad for Sunday or Monday. It’s fine, they are doing well but they are nowhere near ready. The next one back [of those three] might be Lukas. Alex will be one and a half months more. Fabianski will be alright [to start on Wednesday]. He had a nasal problem but he will be alright. Fabianski and Viviano are the two goalkeepers in the squad. this break for Theo, might be a blessing in disguise, it’s not that he was creating a lot of chances or scoring plenty of goals anyway ? Good to see you keeping the blog going during the day and some fine comments as well. I see Sky Sports are controlling the TV coverage, so i guess those of us without Sky Sports will have to make do with the audio tomorrow, again? I think my connection problems have been solved. I have just reset my Home Hub password, and suddenly connections are done in an instant? In case anybody missed it, @14.25 I had a post held up in moderation. Well it is there now. I peeked in the FFF site, and the Boing!! league in particular.Guess what? I am the highest scorer in our league, in week 5, and moved up into 3rd spot. I am now only 7 points behind young Dylan, but I am one of 3 in the 300 club. Okay, seeing as everybody else has pushed off to watch a bit of footie, I will take my leave too. Night all, if I don’t come back ..
Is the game on TV anywhere tomorrow? Well JB, is it the Visionary, the Damus and the Theorist, or a schizophrenic in some distant English county involving unpronounceable bits like “-cester” and “shire”? Who knows? But maybe we’ll see tomorrow! Thanks Geoff – it must be HT17 doing the conspiracy bit, unless this is in JB’s head, and not reality? The reset I had to do after many reboots was I believe, possibly tied in with BT sharing IP addresses. If they all had the factory passwords still running it might explain the slow running I have had. As well as the breaking of my broadband connection. All seems good now though. Just a though – Isn’t all theory ‘pure’, until it is tested? nah, a bit of confusion there, you do Theories, i went a step further and did a conspiracy theory after seeking your permission of sorts since you’re The Theorist 😉 but yeah, 17HT and OZ tend to do those and usually come up with very interesting ones as well, where is 17HT today, anyway ? Good post and i agree with basically all . line up WBA Fab—- Jenkinson TV KOS Monreal —— midfield Frimpong Arteta(c) Ozil —- forward Gnabry Bentdner Ryo. With an extemely strong bench in case of needed. Off to bed though, as very early start tomorrow.